It feels like just last year that we couldn’t wrap our heads around the incredible FOMO 2018 lineup, but once again, FOMO has pulled out all the stops to bring international and local artists together for it’s single stage, clash-free day of music. 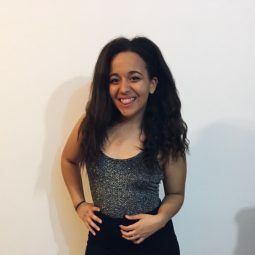 Last month, when the festival revealed the official dates 2019 run with Rae Sremmud’s Powerglide, FOMO fans were over the moon, and left to eagerly anticipate more. 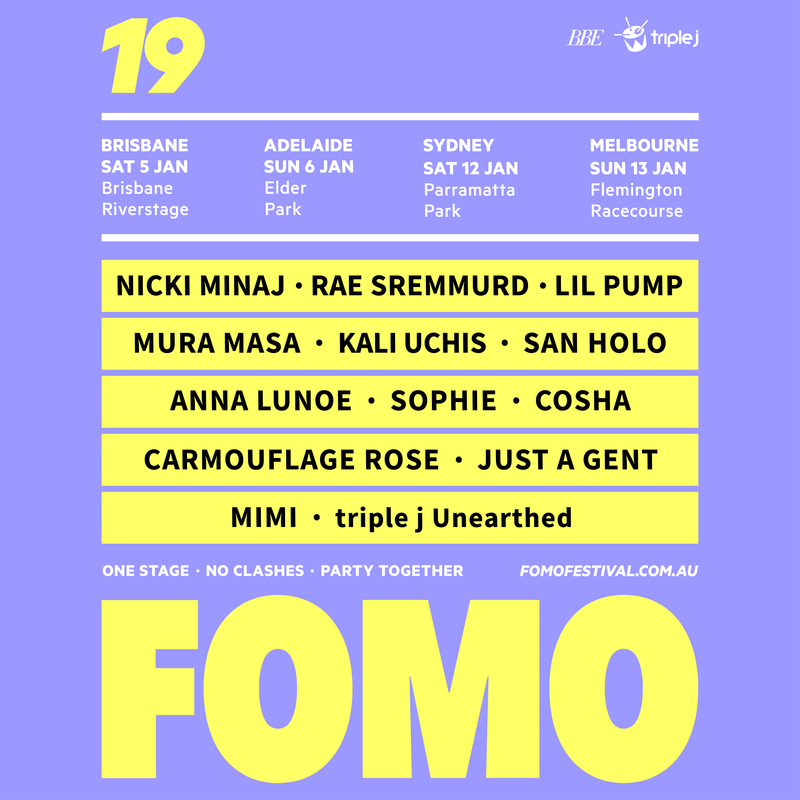 On Monday morning triple J delivered the full, action-packs lineup which boasts heavyweights Nicki Minaj, Lil Pump, Kali Uchis, San Holo, Anna Lunoe, Sophie, Cosha, Carmouflage Rose, Just a Gent, MIMI, and the (to be determined) triple J Unearthed artist. Check out FOMO’s website to get your hands on tickets, on sale today.